A "no"; [sic] vote will not amend the Missouri Constitution regarding arms, ammunition, and accessories for such arms. ; but this shall not justify the wearing of concealed weapons. The rights guaranteed by this section shall be unalienable. 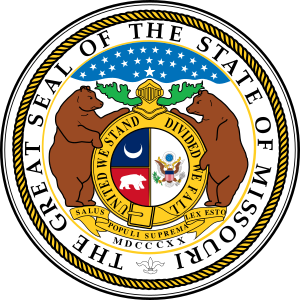 Any restriction on these rights shall be subject to strict scrutiny and the state of Missouri shall be obligated to uphold these rights and shall under no circumstances decline to protect against their infringement. Nothing in this section shall be construed to prevent the general assembly from enacting general laws which limit the rights of convicted violent felons or those duly adjudged mentally infirm by a court of competent jurisdiction. There will be some interesting after analysis to determine what the turn out was from where. As the amendment clearly includes the right to carry concealed weapons, there may be challenges to the laws forbidding the concealed carry of weapons without a concealed carry permit. It is likely that Missouri will become another constitutional carry state as a result of this constitutional amendment. Kansas passed a similar, but less complicated measure in 2010. Louisiana passed a similar measure in 2012, but has not yet had a court challenge to their concealed carry permit law. Oklahoma has a similar measure on the ballot for this November. Yes! Ahahahahahaaaa Iiii LIKE IT! Some on the pro-gun side may have reservations about Amendment 5's wording, but if the progressive, anti-gun media and politicians were against it, I would be for it, just to shake my fist their collective (pun intended) faces.